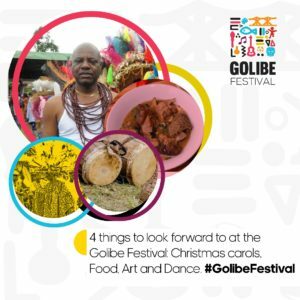 Home ARTS & CULTURE	10 Day Inaugral World Class Fiesta; Golibe Festival Kicks Off In Grand Style. The much-awaited festival projected to host about 100,000 people from within and outside Nigeria takes off today, the 23rd Of December 2018 at Onitsha, Anambra State with lots of fun activities for children, youths and even the elderly. 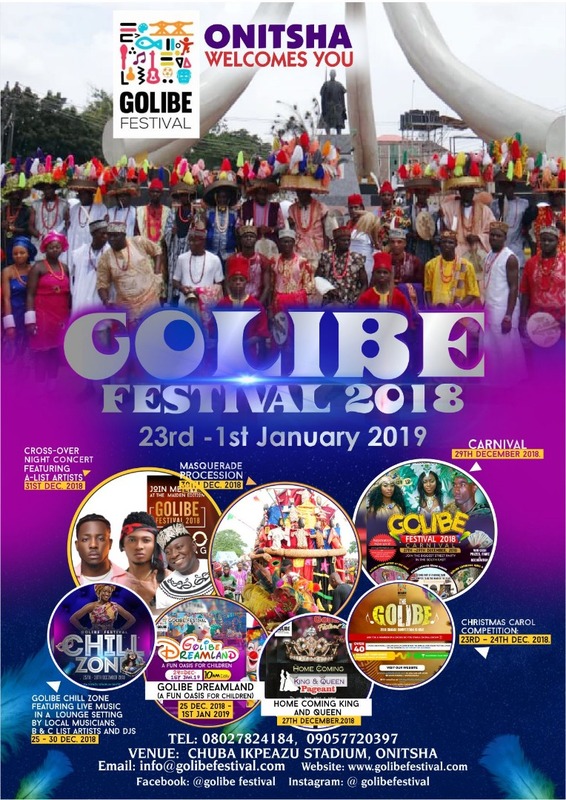 The festival which would run for 10 days, aims to provide a unique end of year celebration event in the commercial city of Onitsha and bring together residents of Anambra, South Eastern states and visiting indigenes from the diaspora. 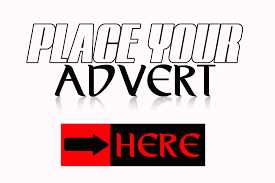 According to Amalunweze Francis Anatogu, Chairman Organizing committee. “The Golibe festival will be a world-class entertainment experience for 10 days in Onitsha. 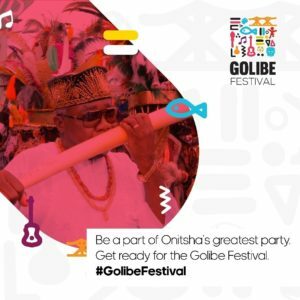 Our objective is to provide the grandest entertainment experience in Eastern Nigeria; it will be packed with everything from music to art to culture, dance, food and fun activities for all ages,” he said. “The timing is key as end of year is the period of celebration and thanksgiving globally. For people of Eastern Nigeria, it is a period of homecoming. 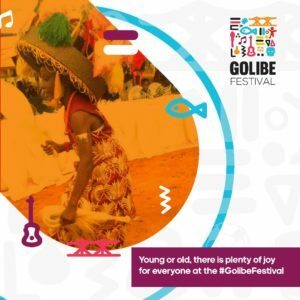 So, Golibe Festival will make family and friends reunions a lot of fun. 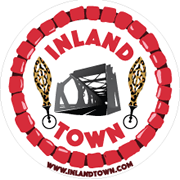 It provides opportunities to introduce our customs, traditions, language, food, arts and craft to the indigenes in the diaspora and to those seeking new thrills. 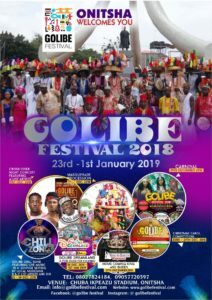 Besides entertainment, Golibe Festival will contribute to the local economy and project local businesses and talents.” He added. The festival kicks off on the 23rd Of December but the official opening ceremony will take place on the 24th Of December. The opening ceremony will be hosted by the Obi of Onitsha, HRM Alfred Achebe, CFR, MNI, with eminent individuals across industries present to witness the launch of the epic cultural fiesta. Also scheduled for the 24th Of December is the grand finale of the Christmas Carol competition featuring various choir, music groups and solo singers and the ‘Golibe Chill Zone’ featuring various talented performers would run from the 24th to the 31st Of December. The finals of the Village Football tournament featuring young talents in the city will hold on 26th December. ‘The Homecoming King and Queen ‘ is a beauty pageant that would hold on the 27th Of December and feature several participants tussling for the crown, the grand prize as well as other consolation prizes. As part of the activities designed for children and teenagers for the festival, there would be free training on the 13th Of December through the 28th Of December on coding and robotics. 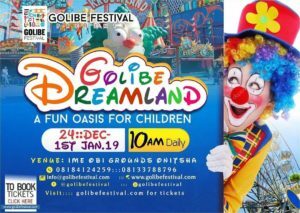 The Golibe dreamland which is an exciting funfair featuring arcade games and entertainment for children and teenagers will open on the 25th of December and run until the 31st of December. 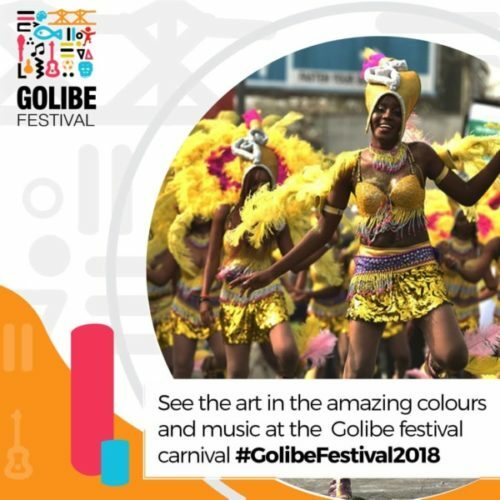 Kicking off on the 29th of December is the carnival featuring groups from all communities, age grades in Onitsha and around the world and a masquerade procession scheduled for the 30th Of December. 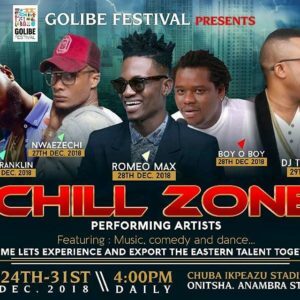 A string of Nigeria’s A-list musicians like Zoro, Ikem Mazeli, Fanzy Papaya, Olisa Franklin, and other up-and coming acts would take turns to thrill audiences to live performances on the cross-over night concert set to hold on the 31st Of December. The festival will also feature video documentaries about the Onitsha people, history, culture and traditions, cultural dances, arts and crafts exhibition, master classes on local food and drinks, and lots more. GIOVANNI OKAGBUE WINS THE MAIDEN EDITION OF THE ARINZE ORANYE MATHEMATICS SCHOLARSHIP AWARD.